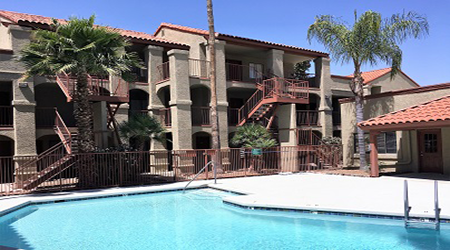 TUCSON, ARIZONA – ABI Multifamily, the Western US’s leading multifamily brokerage and advisory services firm, is pleased to announce the $7,282,500 ($41,378 per unit) sale of the Villa Pacifica Apartments at 4650 E 29th Street in Tucson, AZ. Villa Pacifica is a two- and three-story, garden-style apartment community which resides on approximately 4.46 acres. The property was built of frame and stucco, with flat and pitched roofs. The property boasts a unit mix of (94) one-bedroom, (66) two-bedroom and (16) three- bedroom unit types, with a weighted average size of 641-square-feet. The Buyer, an entity formed through Ennabe Properties, Inc., is a private investment company based out of Los Angeles, CA. The Seller, an entity formed through Alpha Wave Investors, LLC, is a private investment company based in Laguna Hills, CA. 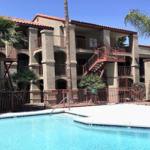 The ABI Multifamily Arizona Large Apartment brokerage team of Alon Shnitzer, John Kobierowski, Rue Bax, Doug Lazovick and Eddie Chang represented the Buyer and Seller in this transaction.